So today I thought I'd make a Valentine card to share with you. 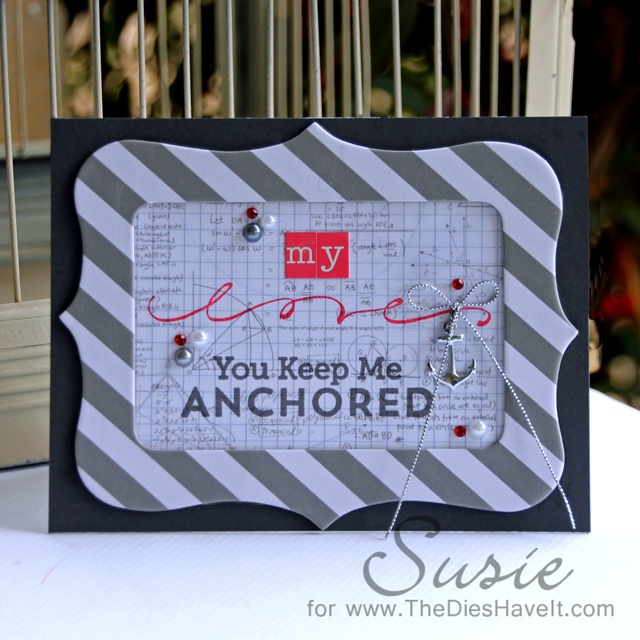 Oh - you can also see this card (and some other great Valentine cards too) on the Eyelet Outlet blog today. And by the way, Eyelet Outlet has a ton of new products available right now in the online store. Do you see that little silver anchor? Well, that was my inspiration for this entire card. It is actually a brad from Eyelet Outlet. It has a tiny hole in the top and I was able to tie that shimmery thread right through it.